Monday | April 10, 2017	Wake up to an array of toasts from Bakerzin! 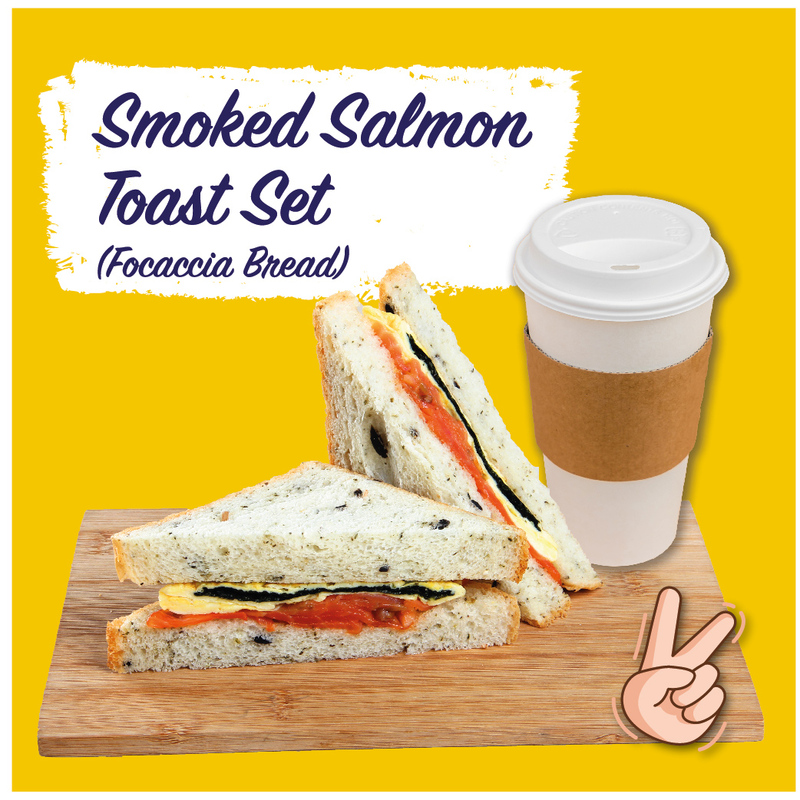 Pair up freshly hand crafted Artisan Focaccia or Wholemeal with one of these selections: Bacon & Egg, Smoked Salmon, Ham & Egg and Egg & Cheese! A cup of freshly brewed black coffee comes along with each Grab & Go Breakfast Set from as low as $4.50. GRAB your BREAKFAST SET on the GO from Mondays to Fridays(excluding PH) between 8am to 11am, exclusively at Bakerzin @ 18 Tai Seng!